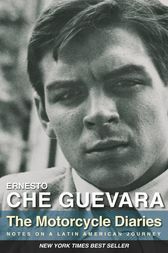 Ernesto Che Guevara was a leading member of the revolutionary government in Cuba after 1959. He was appointed Minister of Industry and later, as head of the Cuban National Bank, his simple signature of "Che" on Cuba's banknotes angered the heads of international banks and finance capital who considered it a denigration of his office. · Aleida Guevara is the eldest daughter of Ernesto Che Guevara and Aleida March. She works as a pediatric specialist in childhood allegies in a Havana hospital and is a spokesperson for the anti-globalization movement.